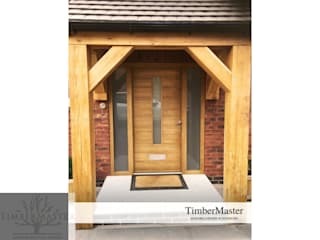 Double glazed External wooden doors are also available in traditional & contemporary style with different timber types including.. oak, accoya & hardwood. You can always trust on us when you order timber doors, because we have vast experience in this industry. Apart from the front doors, we also have a big reputed name in the timber windows manufacturing industry. Our windows are robust, fully tested & BFRC certified, available with Stormproof & Flush Casement. Visit our online store, where you can find wooden windows for sale with Single, Double, Triple & Four Casement. You can also check some of our timber windows projects, from which you can get ideas about how windows looks with different glazing bar styles including cottage glazing bar, Georgian glazing bar & horizontal glazing bar.